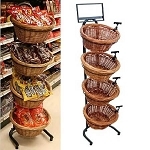 Wicker Displays in retail stores offer the perfect union of functionality and beauty. 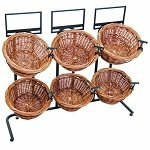 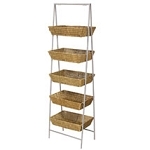 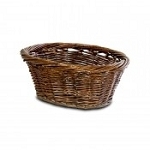 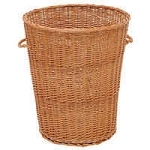 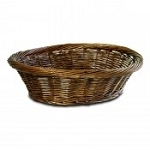 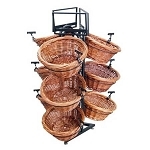 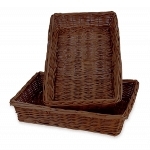 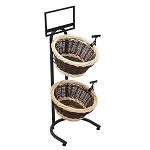 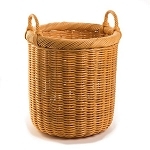 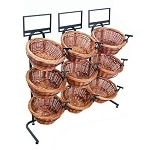 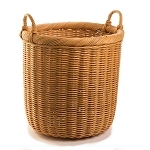 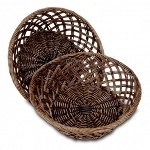 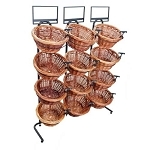 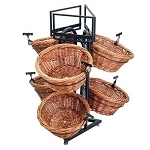 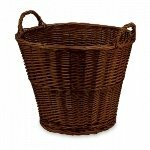 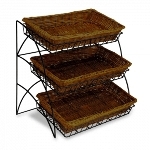 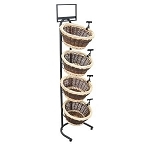 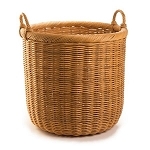 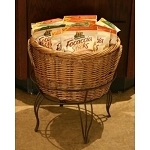 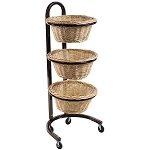 All Store Displays carries the finest selection of wicker and willow retail basket displays for your store's needs. 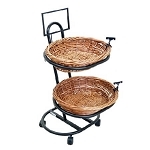 Willow baskets and stands can add confections to a more elegant clothing store or cafe. 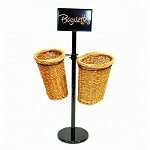 Place wrapped gourmet chocolates inside to turn your patrons into repeat customers. 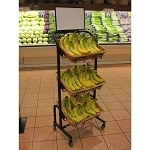 No matter what type of merchandise you sell, retail displays are an excellent storage for your products. 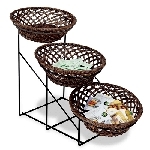 Single counter baskets filled with candy, small jewelry, or trinkets make a POP display that begs for attention. 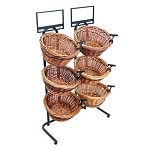 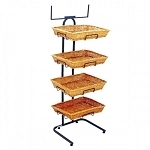 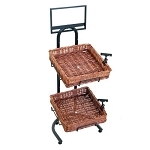 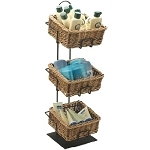 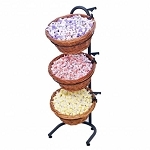 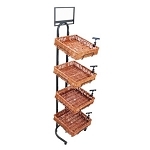 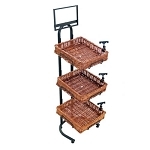 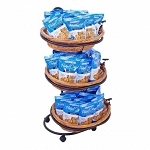 Basket rack displays bring out the best in your produce or bakery items. 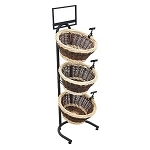 From single baskets to sets that incorporate many baskets, your store will take on more earthy feel when you include woven retail displays. 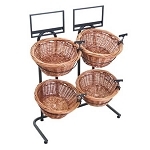 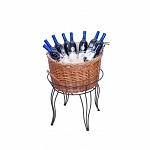 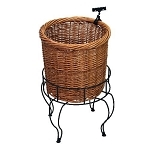 Add some character to your coffee shop or cafe with baskets throughout. 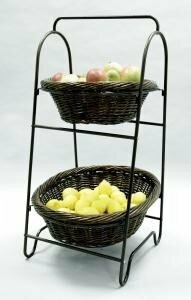 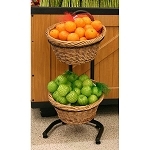 "Wicker produce baskets from All Store Displays offer function and beauty for your produce displays. 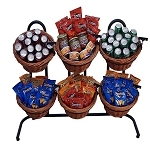 Call us at 866-242-7585 to place an order.